All of a sudden, your kid is nursing a cold. Then it's a horrible tummy ache. Then their head hurts. Trouble is, they were fine just a few minutes ago. 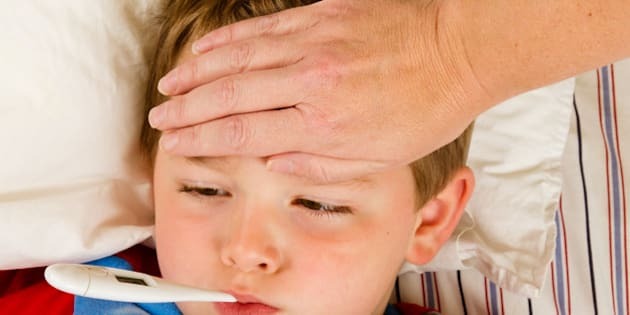 There are many reasons behind why your child may say that they're sick when they're not. They could be trying to avoid a difficult situation at school. They may be feeling lazy and, like all of us, just need a day off to relax and reboot. Or, sadly and more alarmingly, their feigning illness may be a subtle cry for attention regarding something that's very wrong at school, or an effort to avoid an uncomfortable or troubling situation that may await. We've all tried this trick as kids -- I know I did. My parents still laugh so many years later about the time I faked illness when I heard that they had both taken the day off work to have a movie date, only to be sidetracked by my "mystery illness." Your child's feigned illness may be caused by a number of things. The desire to stay home may be linked to something minor, like just wanting to have the freedom to play all day or take it easy. Conversely, not wanting to go to school could be the result of something major, like being the victim of bullying. Consider any recent changes to your child's life -- both at school and at home. Remember, even what an adult may consider a minor change or shift in how things are done can have a major effect on kids. Look for measurable, physiological symptoms. Take their temperature, gauge their behaviour (sick one moment, happy and laughing the next) and look for other tell-tale signs of real illness (lethargy, no appetite, bathroom frequency, etc.). Following all of these steps will help you figure out what's really going on with your child and whether or not you have real cause for concern. Talk to your child consistently. Don't wait until a claim of being sick before asking questions and finding out what's going on in your son or daughter's life. Discuss their daily activities, specifically what they're doing in school (academically an socially), as part of your regular conversations. Sometimes it's hard to do, but by making it easy and safe to talk about difficult topics with your child, the real reasons behind their hesitance to go to school will become apparent. You may have an inkling that your child's problem is more involved that you had originally thought. For this reason alone, it may be time to call in the experts. Start with your in-school resources, including the school counsellor, nurse and, of course, your child's teacher(s) and principal. Most educators are happy to help parents and kids resolve any issues that may be occurring. Your first instinct may be to say "You're fine!" or "No, you're not sick! You're going to school." Often, if a child is indeed faking being sick, there are larger issues at play (see point #1). A gentle touch and gentle prodding will likely garner you much more information than following your first instincts that may stop your child from revealing what's really going on.